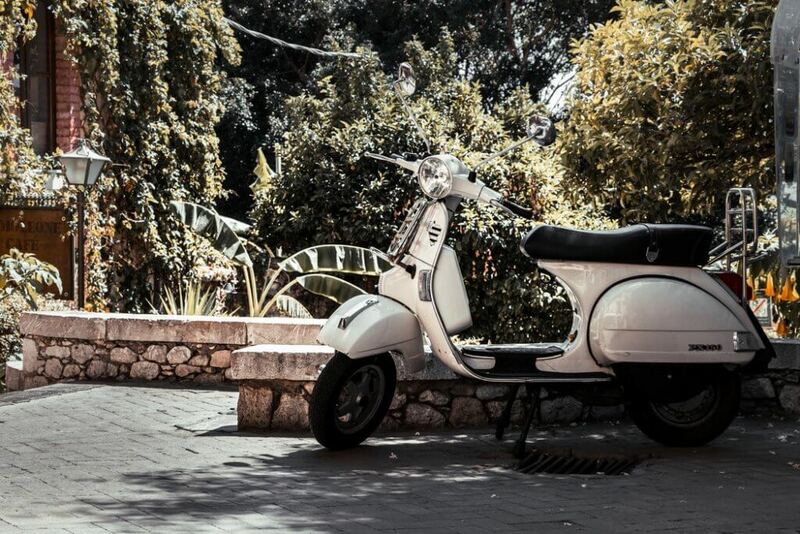 Piaggio; from Trains to Planes, and Scooters to Boutiques… yes you read that right! – We will get to that bit later. This company is one of the finest Automotive brands Italy has to offer. We Buy Any Bike are here today to let you in on how Piaggio evolved, before the Vespa even existed! Let’s take it back in time to the 5th September 1882. Over in a field in the industrial town of Sestri Ponente, in Genoa, North-Western Italy, there was once a man named Enrico Piaggio who bought a piece of land. Little did he know that it would change his family’s life forever, along with many generations to follow. Initially, like many two-wheeled master-brands, Piaggio didn’t consider scooters or motorcycles at all. Enrico bought the land with the intention to build a wood-working factory for ship construction. Soon after plans were set in place, Enrico hired his son Rinaldo – together they made a dream team and would soon change the path of Piaggio forever. For the next 60 odd years Piaggio steadily worked on various projects in the Railway and Aviation industry (who knows what happened to the ships). This period saw the wrath of the war. When the end of the war was approaching, Piaggio had to do some thinking about the future of his company. It was then that he called in the help from Aeronautical Engineer, Corradino D’Ascanio. The majority of the factories were significantly damaged, following the impact of the war. It was then they realised, that since the country itself was so badly impacted by the war, the people of Italy needed a fresh form of transport at an affordable price. The pair then reflected on a vehicle they’d encountered from the Americans; the Airborne, or as it’s more formerly known, as the Cushman Model 53. This was a bike with a parachute; it would appear in warzones, and in particular, they recalled the bikes landing in Turin and Milan. D’Ascanio wasn’t particularly fond of motorcycles, but he had to make do. 1946 brought a new era to the company, one that would greatly influence the future for Piaggio. In 1946 they created a new prototype; the Wasp – but they’re Italian, so you’ve probably heard it called Vespa! After its release, the Vespa proved to be a big break for the company, sales absolutely rocketed sky high! The first ever 98cc Vespas had a standard model and a luxury model that featured a Speedometer, a lateral stand, along with stylish white trim tyres. At the time, the standard model retailed for 55,000 lira, which actually amounted to just £25, which was probably a lot of money in them days! The luxury one, on the other hand, amounted to 61,000 lira, A.K.A. £27. It was still a lot of money, but wouldn’t it be great if you could pick up a Vespa for 30 quid these days! By 1950, Vespas were selling at a rate of 60,000 models per year. Just 8 years following the release of the Vespa, Rinaldo passed away, leaving his 2 sons, Enrico and Armando in charge of the business. This meant that Rinaldo was around to see the Vespa shine in its true glory just before his passing. This was all thanks to the Hollywood Heartthrob Audrey Hepburn in the 1957 hit film, Roman Holiday. 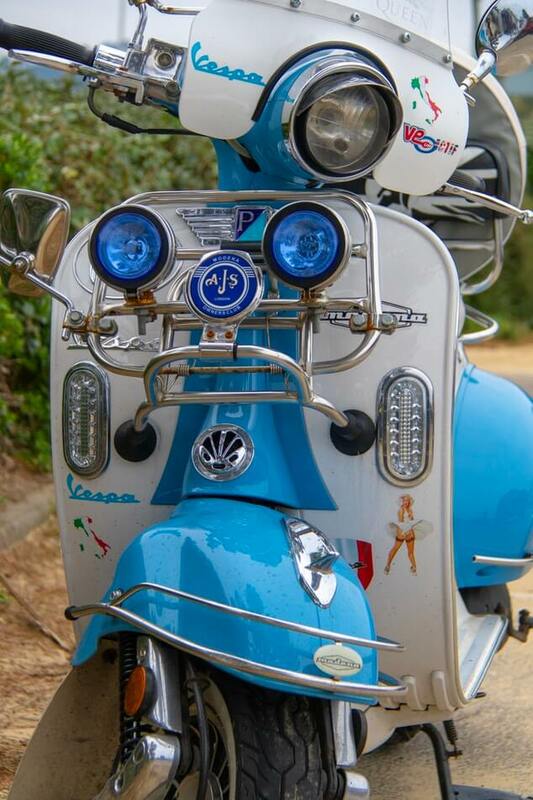 Aside from the home town of Italy, the UK has the biggest market for Vespas. They all have nicknames don’t they! The actual Vespa, in this case (the official one) was called Paperino. Translated, this means Donald Duck – it’s not a very mighty name, is it… we’re glad it didn’t stick! Vespa may not be known as a beast, but that doesn’t mean that the people who ride beasts can’t ride them! Multi-Moto GP winner and the sparkle in the eyes of many bikers, Valentino Rossi is the proud owner of his very own Rossi edition (of course) Vespa special! In 1948, Piaggio extended the Vespa in many ways. Not only was this an exciting and fresh call for Italy, but it was a great opportunity for India as well. Today, we all look at India, and we recognize one of their most common method of transport; the Auto Rickshaw, or the Tuc-Tuc. Now, don’t get me wrong; by all means – the Vespa did not start a new craze here, they just made it more popular. 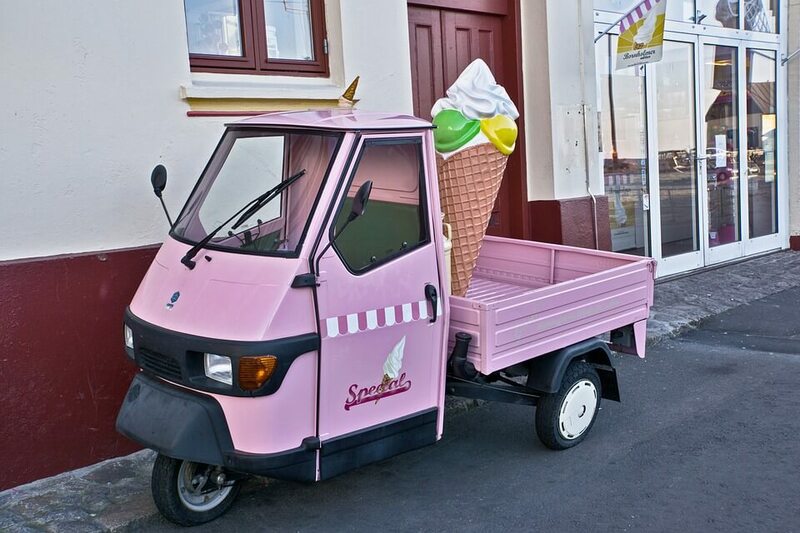 Following in the footsteps of Japan who initially prompted the idea, the Piaggio Ape was released for the first time. For the next 23 years, the market was going Ape for the Ape! (don’t worry, we won’t be releasing joke books any time soon) Then 1971 called – they wanted an upgrade. With this, the Ape evolved into a Prime Ape (it wasn’t actually called that, we’re on the jokes again), embracing a steering wheel. 4 years then followed, and the first ever electric ape was prototyped – this was really ahead of its time! Translated, Ape means ‘Bee’ – Looks like Piaggio missed out on a little family of insects here; they could’ve at least named the MP3 ‘Hornet’! According to Google Translate, this could’ve been called ‘Calabrone’. Before we get too carried away and end up in the 2000’s, let’s talk about what happened before the Ape adapted itself into a full blown car. Well, for starters, Piaggio split itself into 2 separate companies, which made sense. In 1964 the railway and aviation sector was declared I.A.M Rinaldo Piaggio. In hind sight, this almost sounds like global pop star Will.I.Am, but you have to remember that they were Italian – the acronym stands for ‘Rinaldo Piaggio Industrie Meccaniche Aeronautiche’. The automotive sector, on the other hand, was simply called ‘Piaggio & Co’. After 3 years, Piaggios kids fled the nest, Piaggio & Co released an all new moped; the Ciao. Granted, it didn’t have the same success as the Vespa – it would be a tough challenge to beat that one – it was still a fine and dandy looking moped. At first glance, the Ciao simply looked like a motorised bicycle with a slightly thicker frame. In 1969, Piaggio bought the rights to Gilera of Arcore. The Vespa was almost the property of MV Agusta! We can’t imagine any other bike being the Vespa, but this companies first prototype was initially called the Vespa – thankfully it was simply a nickname before they realised that their fellow Italian rivals had already marked their territory. In 1996 the world saw the release of a 50th Anniversary 4-Stroke Vespa ET. 3 years later, the Ape proved a little bit more than a charming piece of art in India, Piaggio signed up with a trader in Baramati, open a dealership over there. When the millennium hit, Piaggio had a little bit of a Harley moment – you know when they get a little bit distracted? At the beginning of this article, I mentioned that there was a Piaggio Boutique. This ladies and gentlemen is exactly what opened in California during the millennium. After 2 years, there was a collection of 65 Piaggio boutique stores that opened across America. Calling them a boutique sounds quite fancy, I agree – but these stores were simply a place where Vespa owners could service and jazz up their bikes – we all know Vespas like dressing up! Clothing and accessories were also available here. In the same year, the Piaggio Museum opened in Pontedera, showcasing all the makes and models from over the years, telling the history of Piaggio in all of its glory. The museum is still available to visit, it is completely free to enter. In 2001, Piaggio could say they saw themselves as 125cc champions… in a way. This was the year that Gilera did them proud, winning the Motorcycle World Championship. It seems that 2001 was a lucky year for them – in that same year, Piaggio was inspired. In fact, they were so inspired that they bought another company. It wasn’t Italian, it was Spanish… in 2001, they bought Derbi Motorcycles. 2013 – The Vespa 946 launched. This year also saw the grand opening of the Piaggio Advanced Design Center in Pasadena, California. Not only was Vespa’s 946 launched, but it also saw the launch of a new Vespa Primavera following the release of the first model 45 years ago in 1968. This launch also brought out the release of a new range of helmets, exclusively made in Italy! 2015 was an exciting year for Piaggio. Not only was it the company’s 130th birthday, but it also saw the 40th anniversary of a completely different brand – Giorgio Armani. As a result, Armani reached out to Piaggio to put together a collaborative project, a special edition Vespa 946 – this is thought to be one of the most expensive edition Vespas you can buy to date. In 2016, the world saw the Piaggio Elettrica for the first time. It was still a work in progress, however, and it wasn’t released until 2018 when it came complete with a Kinetic Energy Recovery System. During the same year, following the 70th Anniversary of the Vespa, Piaggio released 3 new models; a Primavera, a Vespa GTS and a Vespa PX. In this year Piaggio also released a Wi-Bike, in an aim to get their customers fit and healthy! Yesterday, Piaggio saw the opening of their 500th store across the world, located in Istanbul. The future of Piaggio may see some new drones, despite the recent declaration of the bankruptcy of I.A.M Rinaldo Piaggio. On the motorbike side of things, we can see a new Aprilia RSV coming in 2020, along with a new MP3 coming this year. 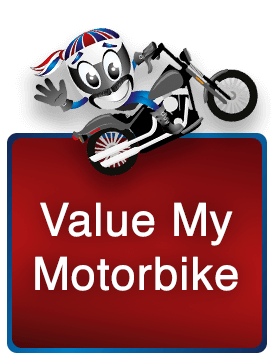 We Buy Any Bike are the UK’s leading bike & scooter trader, we offer FREE instant valuations on all bikes and scooters. 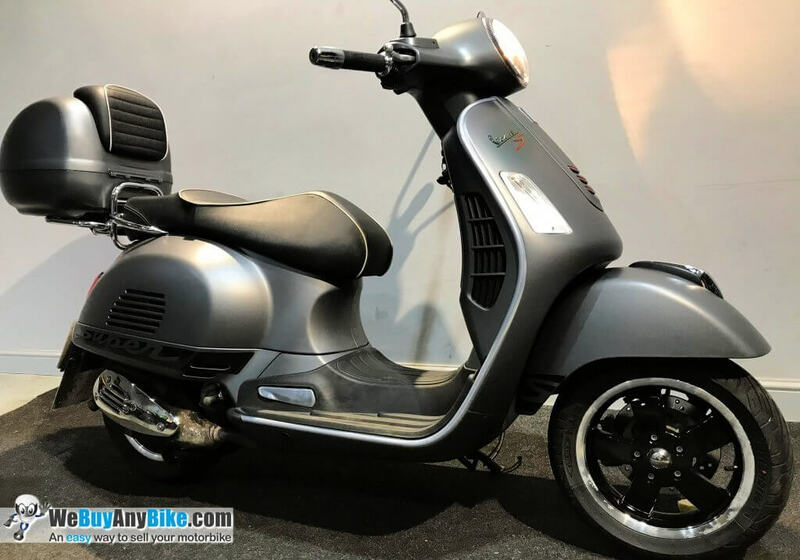 So, if you would like to sell your Vespa, Get a valuation on your MP3, or sell any other subsidiary brand of Piaggio, such as Aprilia, MV Agusta, Gilera or Derbi, look no further! If you live in the UK or Northern Ireland, we will collect your bike or scooter for FREE too! If you have any questions regarding the valuation of your vehicle, please call our team today on 01274 600 224 – we’re a friendly bunch of bikers and we’d be happy to help! WeBuyAnyBike pay the most and collect the quickest!